Want to make passive video an active, engaging experience for learners? Here's how! A bulb is an interactive video created in PlayPosit. 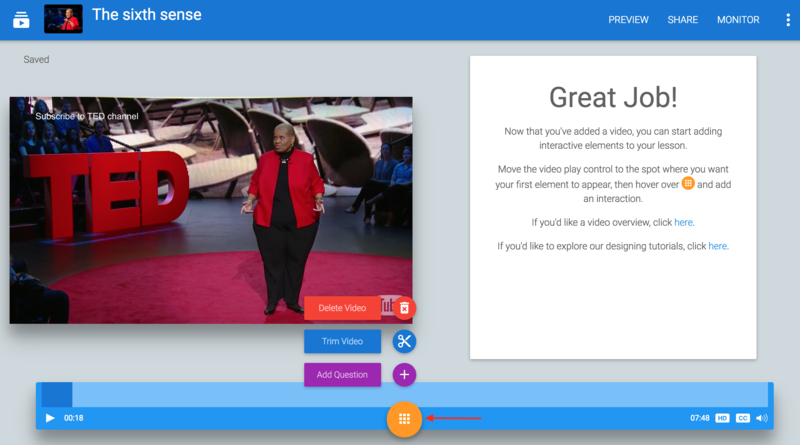 Transform any video into an active experience for students by embedding questions, images, audio, and other media elements. 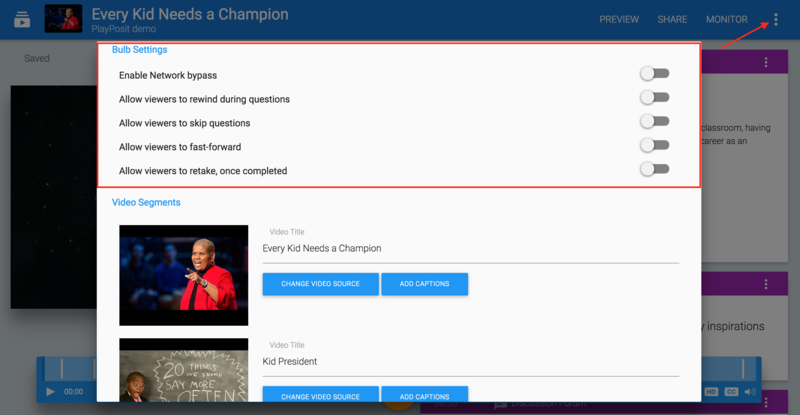 Add any of the premium question types to make your video engaging for students. Multiple choice: Present students with a series of options to choose from in response to a question. This question type has one correct answer. Auto-graded. Check all: Present students with a series of options to choose from in response to a question. This question type can have multiple correct answers, but students will only receive full credit if they select all of the correct answers. Auto-graded. Free response: Allow students to demonstrate understanding with a text response and/or use the rich text editor to include images, audio, equations and tables. Not auto-graded. Fill-in-the-blank: Present students with a phrase that is missing one or more words. Questions can have multiple blanks, and multiple correct answers. Auto-graded. Reflective pause: Give students the opportunity to pause and reflect on video content. Alternatively, use this question type to supplement information that is not covered in the video, or make connections between the video content and other course material. Not graded. Web embed: Allow students to explore a website without leaving the video lesson. Use this to provide supplemental information to students or have them complete an online simulation. Not graded. Polling survey: Present students with a series of options to choose from in response to a question. Student can only choose one option, and there is no right or wrong answer. Not graded. Discussion forum: Simulate an interactive discussion with this question type. 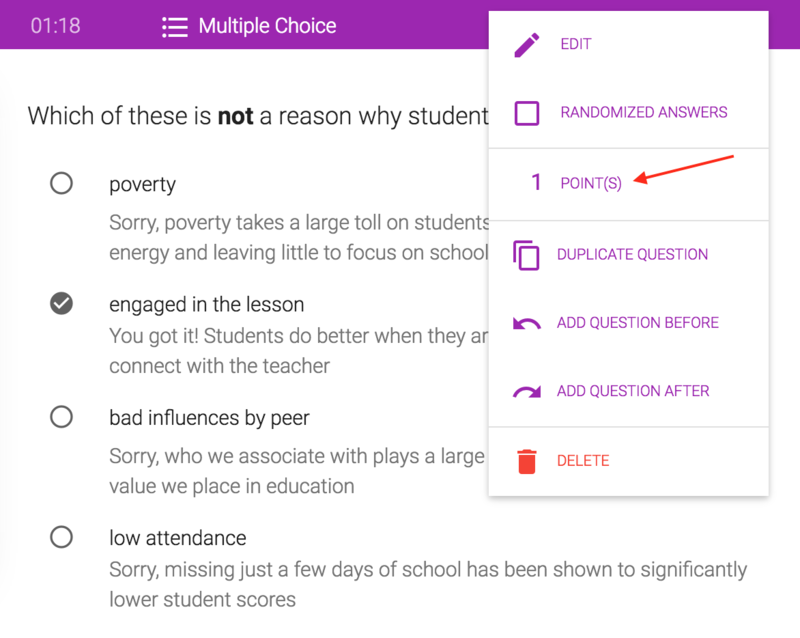 Students can post responses in real time and/or reply to comments posted by other students. Learn more here. Not graded. The rich text editor gives you access to formatting tools and allows you to embed images, audio, equations and tables to any question type. Hover over the orange icon and select Trim Video. Trim beginning/end: Move the red/green markers that appear on the edges to the desired start or end time. Trim internal segments: Navigate to the starting point of the crop on the blue scrub bar. Then select Add Internal Crop Segment and use the red/green markers to adjust the desired start or end time of the cropped portion. When you are finishing trimming the video, click Exit Crop Mode. 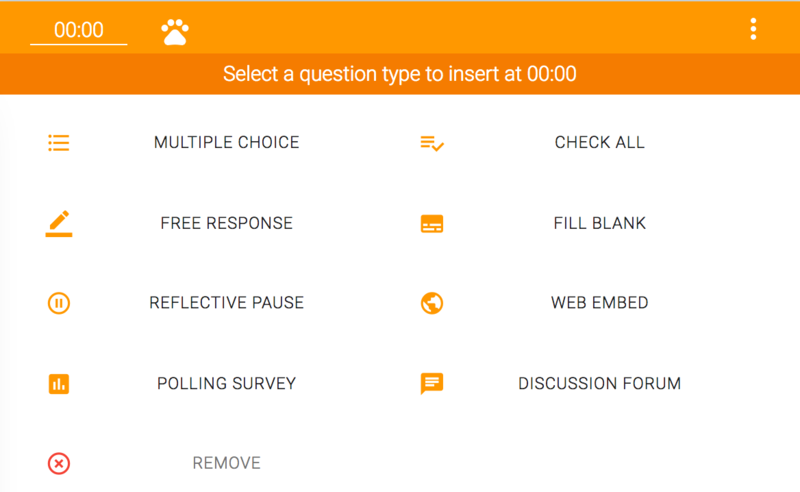 To change the type of question, without retyping the question text, simply click on the question icon to view the menu of options and select a new question type. Note: Point values cannot be adjusted once learners start the bulb. Use chain/stack functionality to ask a series of questions tied to the same moment in time. Scaffold the questions to ensure deeper student understanding or use it as an exit ticket at the end of your lesson. 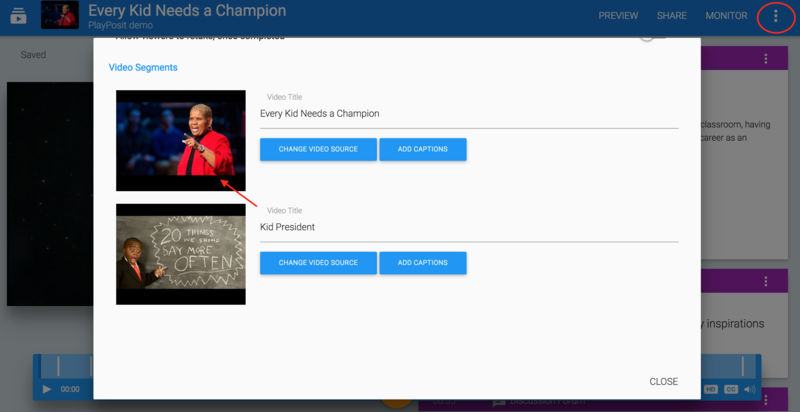 Take multiple video clips from different sources to create a complete lesson. Students will automatically be directed through the playlist of videos. Customize the playback settings for your bulb to meet the needs of all students. Click on the triple dots (top right corner) and select Settings to view all available options. 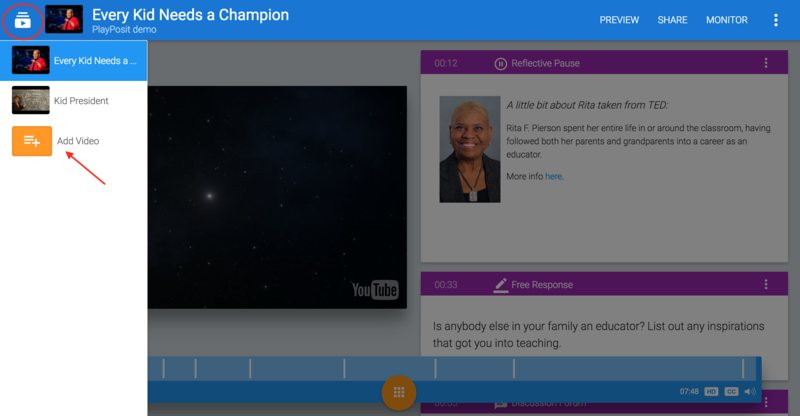 Allow viewer to rewind during questions: Give students the opportunity to replay video content before submitting a response to the current question. Allow views to skip questions: Make questions optional and permit students to move forward in the bulb without submitting a response. Allow viewers to fast-forward: Make video content optional and permit students to skip around within the full video timeline. Allow viewers to retake, once completed: Give students the opportunity to demonstrate mastery by retaking the bulb. Students will see a retake button at the end. Clicking this button will clear the previous attempt and allow them to resubmit responses. To ensure your video lesson is accessible for all students, there are multiple ways to bring in closed captions. 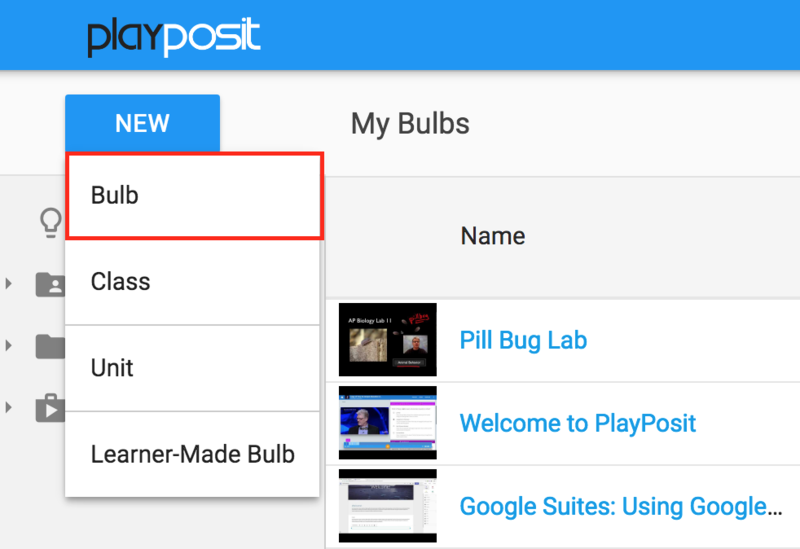 If your video is hosted on YouTube, captions will automatically be brought into PlayPosit when you create a bulb. 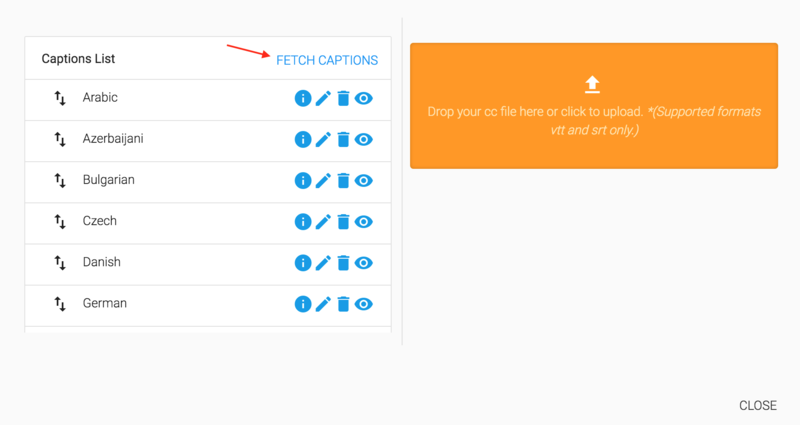 To edit or replace auto-generated captions with another caption file, click on the triple dots > Settings > Manage captions > Fetch captions.